(1) Applying TCM ointment. It is used for scleroderma skin lesion. It might be prepared in two dosage forms of vanishing cream and cold cream according to dermatological symptoms of patients. (2) Iontophoresis of TCM. It is used for scleroderma skin lesion, parotid gland disease of Sjögren's syndrome, and rheumatic arthropathy, etc. (3) Chinese medicine bath (including local medicine bath and systematic bath). 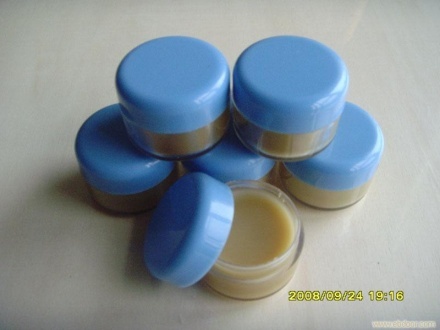 It is used for scleroderma, and other skin and joint lesion of rheumatic and autoimmune diseases. (4) TCM steam bath (TCM fumigation treatment). It is used for scleroderma, and other skin and joint lesion of rheumatic and autoimmune diseases. (5) TCM drug-wax therapy. It is used for scleroderma, other skin and joint lesions of rheumatic and autoimmune diseases, and Raynaud phenomenon, etc. (6)Acupuncture therapy. It could be used for nearly all symptoms according to different conditions. (7) Grand moxibustion therapy. It is used for scleroderma and other rheumatic diseases of insufficiency of both the spleen and the kidney in the diagnostic perspective of TCM. (8) TCM alcohol therapy. It is used for scleroderma, other skin and joint lesions of rheumatic and autoimmune diseases, and Raynaud phenomenon, etc. (9) TCM packet therapy. 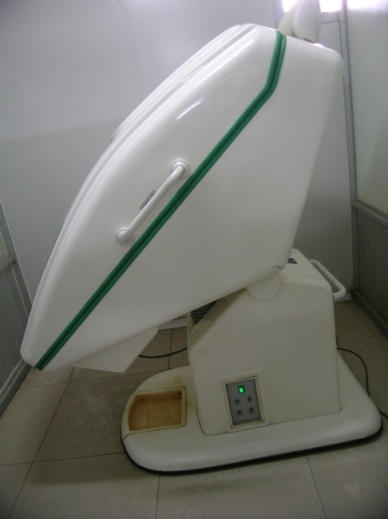 It is used for various arthritis, neck shoulder pain or lumbocrural pain, skin sclerosis and joint contracture, etc.